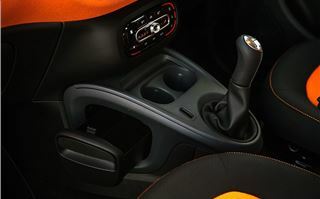 The Smart Fortwo is incredibly intelligent piece of car design, but it isn’t much good for a family with children. Step in the larger Forfour. 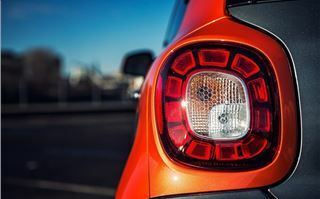 It’s still tiny, nimble, quirkily styled and easy to drive in town, but it has the advantage of an additional pair of surprisingly useful seats and two wide-opening rear doors. 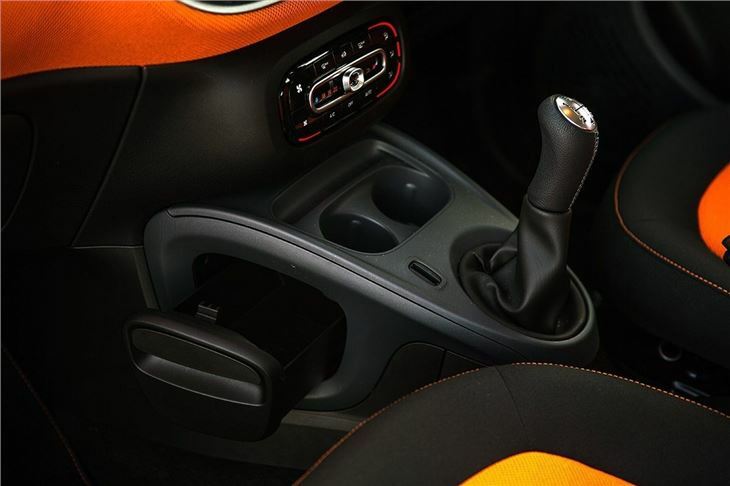 Like the Fortwo, the Forfour is rear-wheel drive with a rear-mounted engine. The advantage of this is a shorter bonnet and a tighter turning circle, which makes a huge difference in town or multi-storey car parks. Tight parking spaces, U-turns and narrow city streets are incredibly easy to deal with, helped further by light steering. The basic 71PS petrol is fine for town driving, but for those who travel any distance, the 90PS turbocharged petrol, tested here, is a better bet. 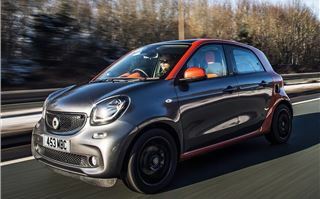 It has more low-down torque - 135Nm versus 91Nm - making the Forfour feel lively and responsive even at motorway speeds, with enough power in reserve to overtake slow traffic. 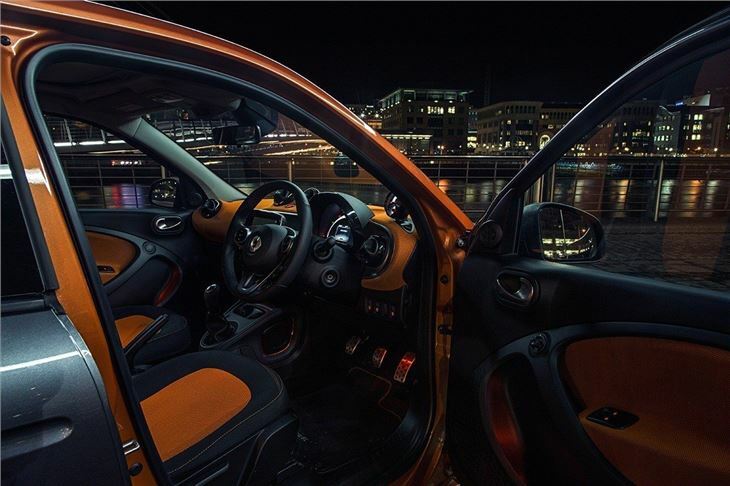 In fact, when equipped with the 90PS engine, the Smart Forfour is at home in almost any environment. It might have a rear-wheel drive, rear-engine layout but the steering, brakes and suspension have been tuned very well, making the car behave like any other small hatchback, even on a tricky, twisting country road. Body roll is well controlled, but the ride quality could be better. 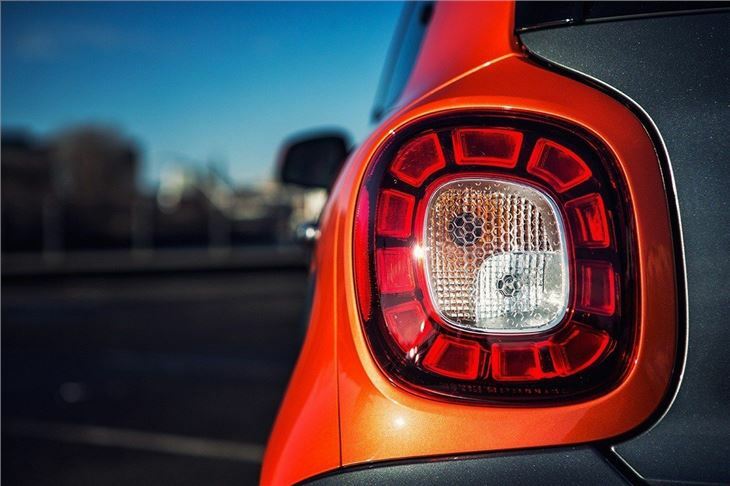 On rough road surfaces or over speed humps the Forfour jiggles and wobbles noticeably, though not enough to make things uncomfortable. Additionally the light steering, while great in town, could do with a little more weight on a country road. Fortunately it’s fairly quiet in the cabin, thanks to the engine’s position in the back. 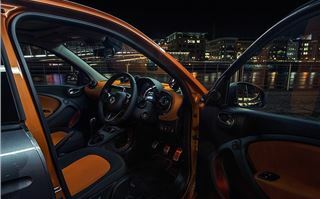 The Forfour shares a lot with the Fortwo when it comes to interior styling, with a similar dashboard, instrument binnacle and infotainment system. 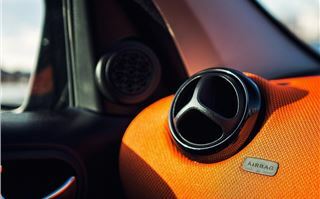 The design inside is as quirky as outside, with colourful fabric coverings for the dashboard tops and ball-style air vents, plus a chunky, toy-like slider for climate control temperature selection. The basic infotainment system does without a touchscreen, but it is easy to pair up a phone for streaming audio and making calls, plus there is a phone dock available that fits within easy reach of the driver. As part of a pack, buyers can choose a 7-inch touchscreen system with navigation and it’s reasonably easy to use, but probably unnecessary for most. The back seats are small but perfectly useable for children. 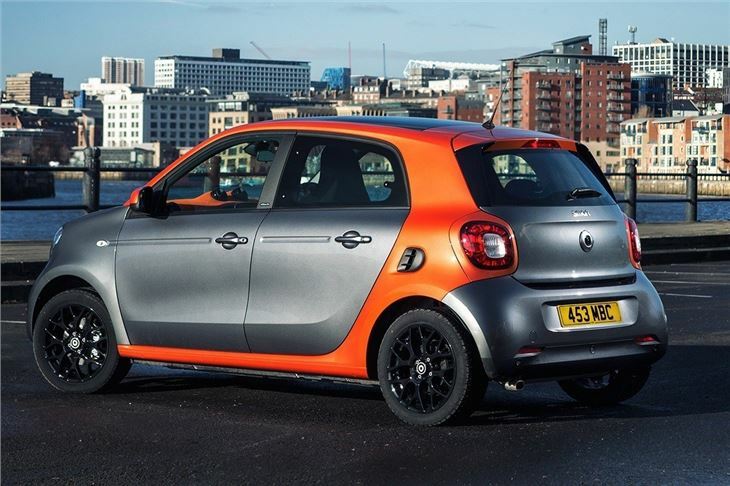 Smart has fitted very wide-opening rear doors, which makes life much easier for parents when fitting and removing child seats. Adults might struggle in the back row on longer journeys, but for shorter trips they should be able to get reasonably comfortable, thanks to an acceptable level of head and legroom. The boot isn’t particularly spacious, with a volume of 185 litres. That’s less than most small hatchbacks, including the Volkswagen Up, which has a 250-litre boot. That said, it’s fairly easy to flip the rear seat backs down, freeing up to 975 litres for bulkier loads. Running costs are low, with emissions of between 97g'km and 99g/km depending on trim, meaning free annual VED. Official economy is 65.7mpg, which is probably optimistic for most drivers in real world driving, but 50mpg or better shouldn’t be too tricky. 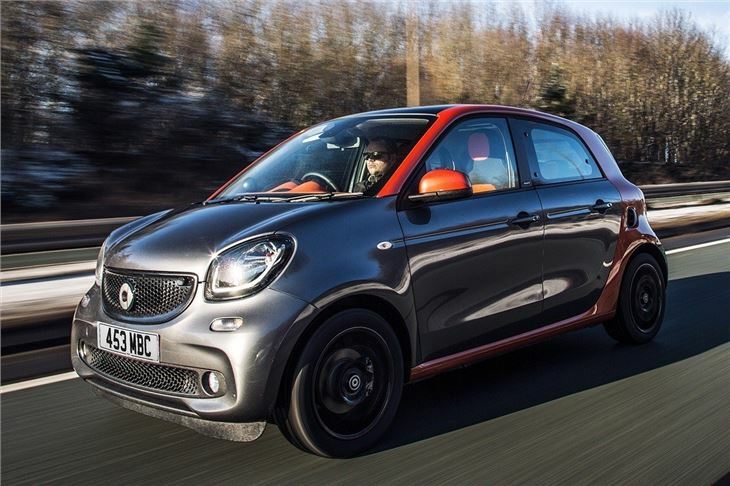 That’s good news because the Smart ForFour isn’t cheap – the entry-level Passion version costs £11,265. A Skoda Citigo can be bought for £8275. Luckily stepping up to a 90PS model only costs an additional £595 in basic Passion trim. 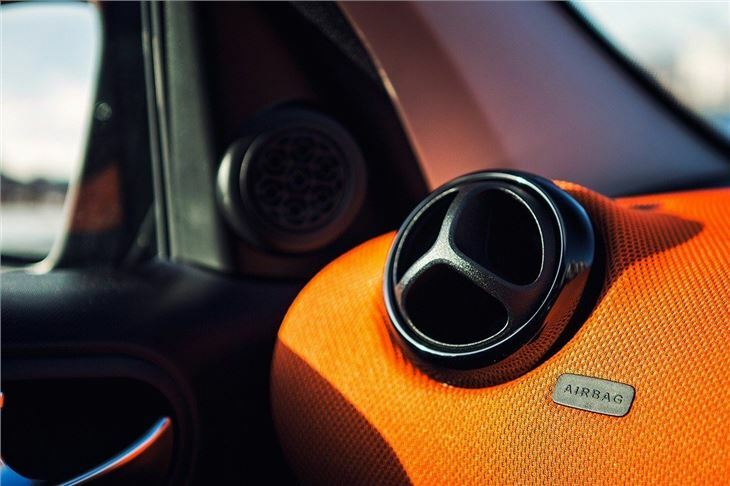 All Forfour variants come with alloy wheels, climate control, crosswind assist, cruise control, a speed limiter, hill start assist, Bluetooth connectivity, aux-in and USB. Higher trims don’t actually add all that much in the way of luxuries, many of which are optional. 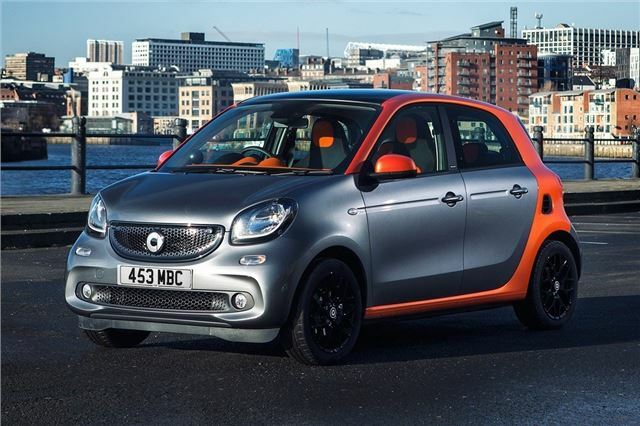 That means even more expense, which will limit the Forfour’s appeal to some buyers. 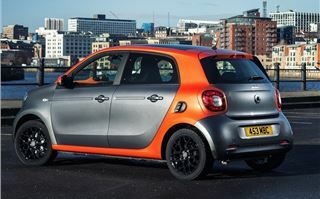 Having said that, if you are willing to pay a little more than you would for something like a SEAT Mii or Vauxhall Viva then there is a lot to like about the Smart. That’s particularly true for people who live in cities, where its size and nimbleness make it one of the best little cars on sale.